Comedian Romesh Ranganathan is travelling the world again, this time on an odyssey to meet his family who left Sri Lanka to settle in North America as well as to see what his life could have been like had his parents not chosen Crawley. Unfortunately for him, this time his Mum Shanthi is coming too. It’s always been her dream to visit the relatives across North America, and now it’s Romesh’s job to make her dream a reality. He’s somewhat less than delighted. Romesh and Shanthi kick off their trip in Tampa, Florida, meeting cousin Pratheep. Romesh and his mum visit Canada for a family reunion. Romesh and his mum go on a tour of the Deep South with Romesh’s brother Dinesh. 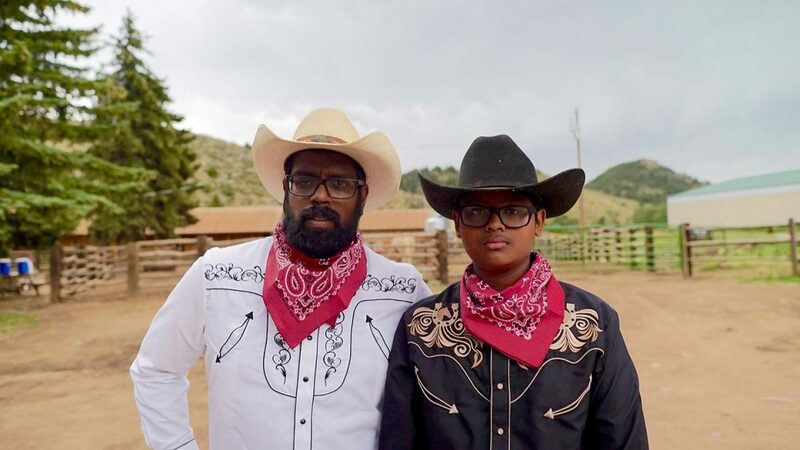 Romesh and his mum meet up with Romesh’s cousin Krishna at a cowboy ranch in Colorado. In the final week of his trip Romesh tries to spend some quality time with his mum.